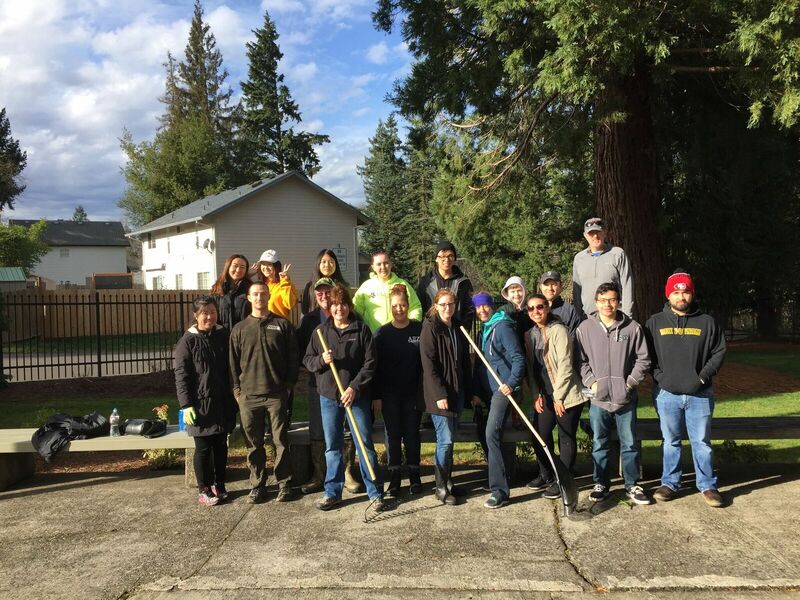 Oregon Historic Cemetery Cleanup Day! Oregon’s historic cemeteries are sites of great cultural value. Invite Oregonians, friends, and neighbors to discover and preserve your cemetery on May 11th! With Memorial Day the following weekend, this is the perfect time to prepare. Volunteers can clean markers, plant native flowers and grasses, remove invasive species, trim and prune trees and shrubs, and more! If you have never partnered with SOLVE in the past, the first step is to Become a SOLVE Leader. If you have partnered with SOLVE in the past, simply log in to the SOLVE leader portal and create your event! If you are having trouble navigating the website, you can submit your event over the phone by calling Monica at (503) 844-9571 ext. 336. Submit your event early to help the Oregon Comission of Historic Cemeteries and SOLVE better promote your event. Join us for a webinar this March with tips on running your own Cemetery Clean-up Day! Learn tips to be organized and ready to get volunteers to work and accomplish loads in your cemetery. Also available in person at 725 Summer St NE, Salem Room 124B. A recorded version will be available the week following these webinars. Native species are adapted to your ecoregion and so require less watering. Replace invasive thistle with native grasses for a healthier lawn that requires less watering! Plant a perrenial flower instead of tulips and see them return year after year with no watering and no work! SOLVE provides free materials such as litter bags (work well for star thistle! ), vinyl gloves, safety vests, and first aid kits. After creating your event, please order supplies at least two weeks in advance of event day so we will have time to fill orders and confirm your preferred mailing address or pickup time. 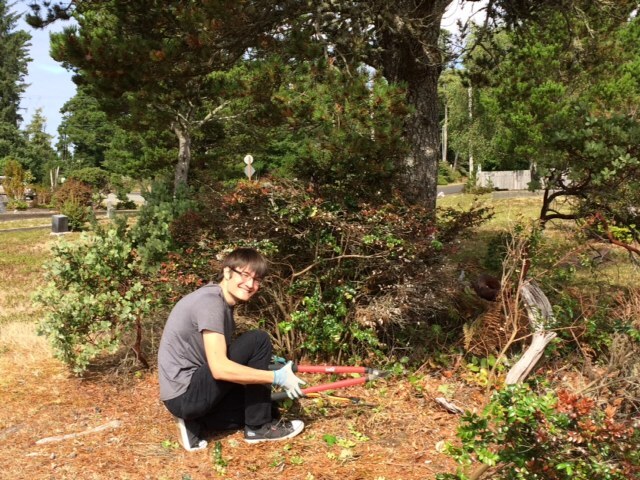 In the Portland metro area you can borrow litter grabbers, loppers, buckets, work gloves, and other items from the SOLVE office if you are able to pick up. Please get in touch if you are interested in learning more. Because of this offering, projects outside of the Portland Metro area are favored for small grants for these items. A limited number of small grants of up to $100 for qualifying expenses are available. 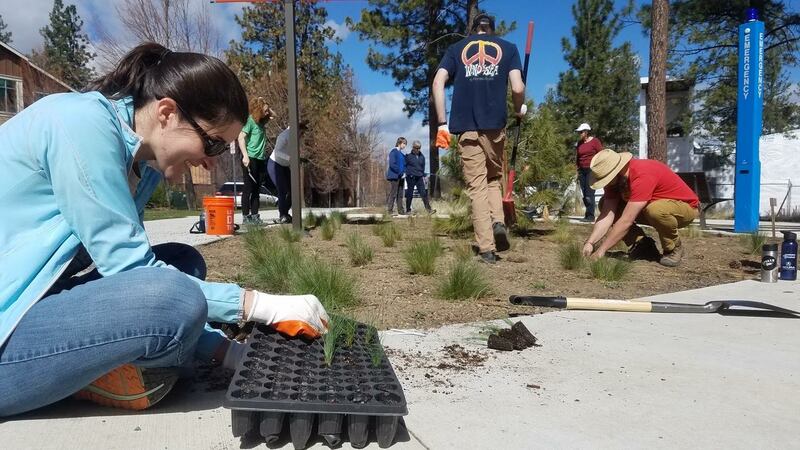 Use your grant to stock up on work gloves or loppers, to buy native grass seed or native perennial flower starts, or to make fliers, banners, or signs advertising your event. A grant application must be completed before your event in order to be considered for funding. After the event, return your grant reimbursement form with reciepts to SOLVE and we will send you a check. Please wait until you have heard that your grant was approved before making any purchases you expect to be reimbursed. If there are food items, recognition gifts, or other items that you would like that aren't covered by the small grant, many local businesses will likely be interested in donating to your project. If you acquire any in-kind donations, please have the business fill out SOLVE's In-kind Donation Form. Send this back to SOLVE so we can thank them personally. The form also includes our tax-id number which may help a business to donate! SOLVE provides assistance with volunteer recruitment and placement, including online volunteer registration, waiver forms and confirmation emails to all online registrants. Event leaders are expected to provide outreach to local groups in an effort to bring volunteers to the specific event project they lead. SOLVE provides an editable flyer (below), in addition to tips and tricks for outreach in your community to help you in the outreach process. Edit your flyer to reflect your event details! SOLVE offers Coordinators use of the Project Planning Resource Guide, a step-by-step manual to coordinating a SOLVE project. Coordinators are also free to contact SOLVE staff directly for project support. Contact Monica Gunderson at monica@solveoregon.org or 503-844-9571 x336.